Great atmosphere, great beds with extra space to put your stuff. 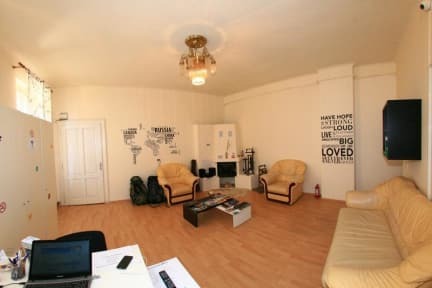 It's really spacious and on a great location. Very clean and the staff was really nice as well! 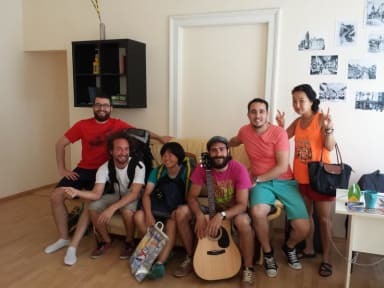 Great small hostel right in the heart of Sibiu. Everything you need is there, and the staff is very helpful. Has a very homely feeling, as there is only one bathroom and one shared kitchen in the main building. Great price, the beds were comfy as well, liked the 8beds with the little nightstand etc. Not the most cosy common area or kitchen. Breakfast was basic. But. You can't beat the price.